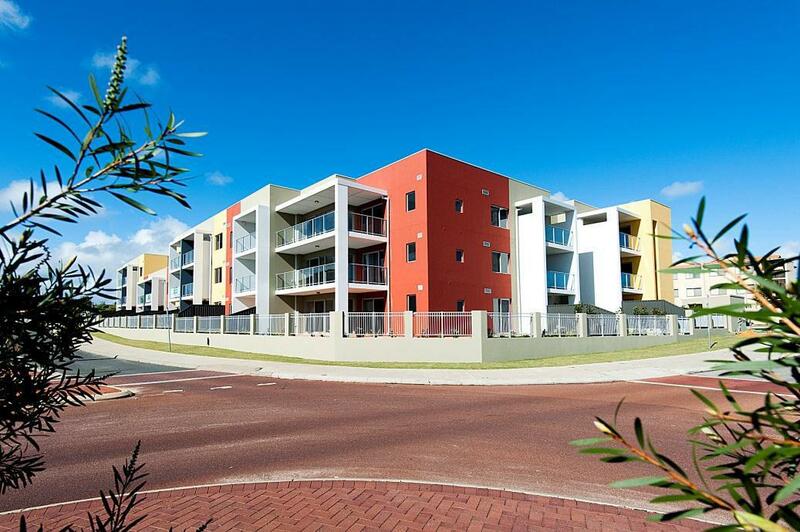 West Australian developer Finbar Group Limited has announced the successful completion of two residential projects in Perth – St Marks and Knightsgate. Finbar Managing Director, Darren Pateman, said the two projects have a combined end value of $89 million and settlements on both projects are scheduled to commence in October. “With our current cash position and cashflows anticipated from settlements in these projects over the next few months, our company is very well positioned to support the commencement of new projects this coming year and to continue to have capacity to benefit from new growth opportunities as they are suitably identified,” Mr Pateman said. Both projects have been well timed to meet the demand for new housing product in Perth, with the St Marks’ apartment project in Highgate selling out in March 2013. The neighbouring heritage school building located has also been sold for future use as an education facility. The Knightsgate project (pictured), located in Currumbine, has also proved very popular with first homebuyers, with 41 apartments sold in the 43-unit project. The St Marks project features 130 residential apartments and is situated amongst Highgate’s vibrant Beaufort Street café strip, bars and restaurants, and is located only two kilometres from Perth’s CBD. One-bedroom apartments range in size from 62sqm to 76sqm; two-bedroom apartments range in size from 91sqm to 229sqm and 177sqm with a study; and three-bedroom apartments range in size from 107sqm to 160sqm. All apartments feature contemporary living areas and luxury fit outs including chrome tapware, glass splashbacks and granite or stone bench tops in kitchens and bathrooms. Residents also have access to a 21-metre, solar heated lap pool, games room, gym, sauna and secure parking for its residents to enjoy. The Knightsgate development features 12 one-bedroom apartments and 31 two-bedroom apartments, ranging in size from 65sqm to 108sqm, and 94sqm to 235sqm respectively. Only three apartments remain for sale, with two-bedroom apartments priced from $389,000. All apartments offer modern, open-plan living areas that include stainless steel appliances and granite bench tops, and generously sized balconies. Residents can enjoy resort-style features, including an on-site gym and swimming pool, with an outdoor entertaining area and secure car parking and storage. Knightsgate is located just minutes away from Burns Beach. It is also located in close proximity to Currumbine train station and has easy access to the Mitchell Freeway, offering a direct route into Perth’s CBD. The area is well-serviced by shops and leisure activities, including Lakeside Joondalup, as well as cinemas, parks and sporting facilities.